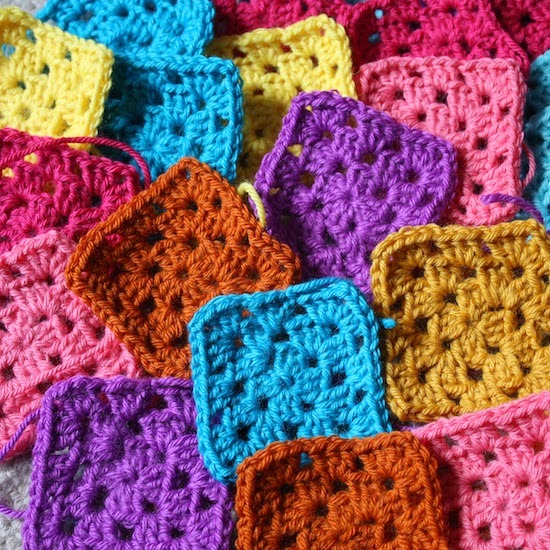 Each block is a 4''x4'' square. The idea is to make a quilt for the sofa. 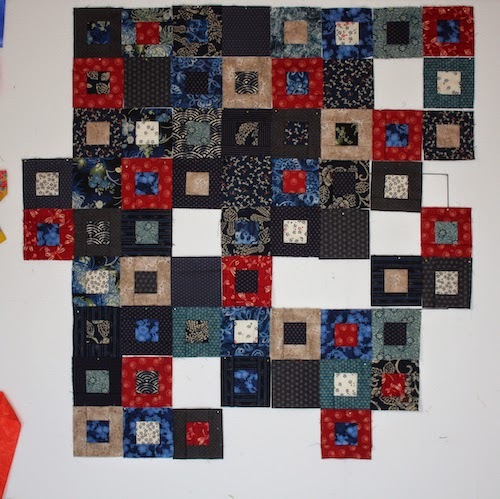 Yes, I need to make many more blocks, but I'm going slowly... One hour of Japanese, 15 minutes of sewing, one hour of Japanese, etc.. I don't know yet what I'll do with them. 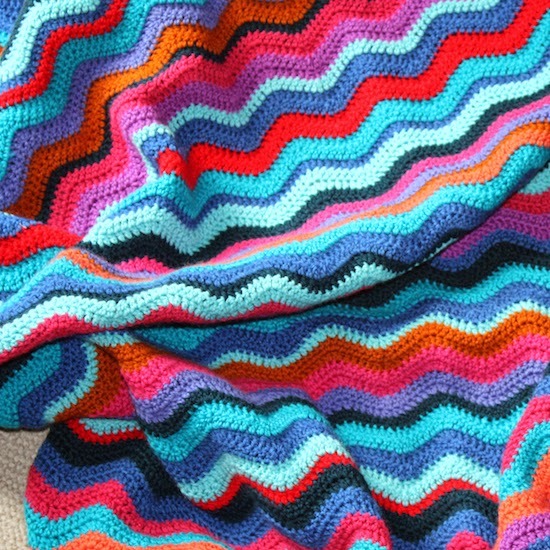 Maybe a little blanket for my GD's doll. I think she's almost ready for cross stitch. I love Japanese fabrics and how their colors are usually muted. 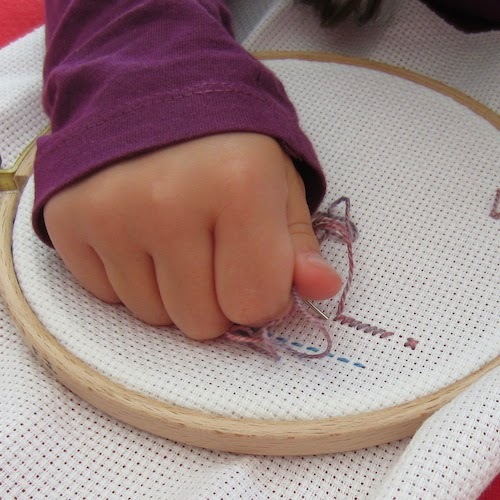 That's so neat that your GD is trying out embroidery/counted cross stitch. 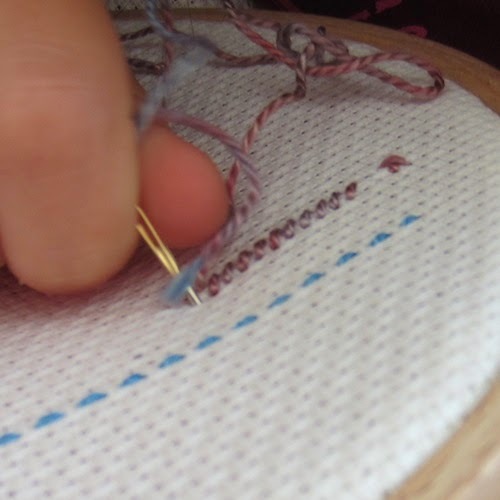 There's something quite satisfying about hand work-watching it develop as you take stitch by stitch. j'aime bien les qilts avec de petits carrés tout simple et répétitif, c'est reposant ... à regarder après. Douée la puce dans la famille!!! elle fait de beaux petits points. ça promet encore bien des plaisirs. 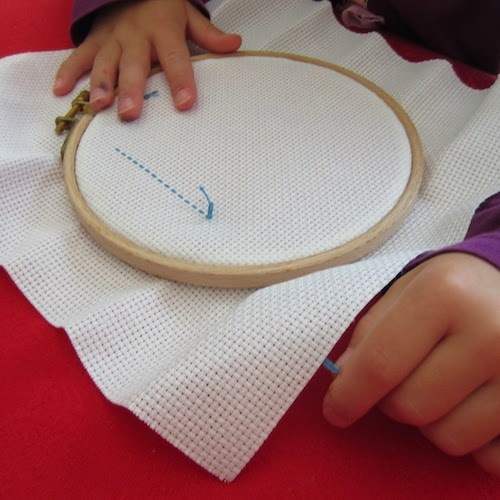 Your GD's stitching looks amazing, Francoise, you must be such a good teacher. 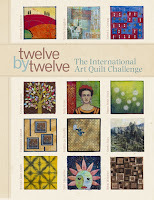 I Iove the scrap quilt designs, what a great idea.